Closed from 12 – 1 pm each day for lunch. Our drive thru window is also open for customer convenience and for a minimal fee we do accept Mastercard, Visa and Discover Cards. We also have an after hours drop box located next to the drive thru window. You may also receive your bill via email. Inquire in the office for details. Starting July 2, 2018, our online system will be making and update. All customers will be required to create a new profile using your account number printed on you billing statement. 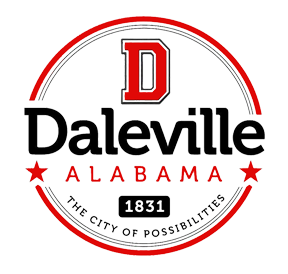 The City of Daleville Water has partnered with nexBillPay to extend an additional payment option for customers interested in using their check, debit card or credit card. nexBillPay is a trusted third-party automated payment service that allows you to pay online.